The Cambridge Engineering course is unique. It allows you to keep your options open while equipping you with all the analytical, design and computing skills that underpin modern engineering practice. Part I (Years 1 and 2) provides a broad education in engineering fundamentals, enabling you to make a genuinely informed choice about the area in which to specialise from your third year (many students change direction as a result). Part II (Years 3 and 4) then provides in-depth training in your chosen professional discipline. See the Course outline tab and the Department website for further details. The Department is a leading international centre for research, consistently ranked the highest achieving amongst British universities. We also have strong links with industry, with many research projects funded by industrial companies. Our facilities are excellent: the new Dyson Centre for Engineering Design provides access to traditional hand and machine tools, as well as modern computer-controlled machinery and rapid prototyping; the Design and Project Office is equipped with more than 80 workstations; the library has 30,000 books and takes about 350 journals; and extensive mechanical and electrical workshops are available. The Department’s Language Programme for Engineers offers specialised courses at all levels in French, German, Spanish, Chinese and Japanese. You’re required to complete six weeks of industrial experience by the end of the third year, obtained by deferring entry or during vacations. Our full-time Industrial Placement Co-ordinator helps deferred entrants and undergraduates to find suitable placements (in the UK and abroad) and sponsorship. A small number of students spend their third year studying abroad through our exchange schemes with Centrale-Supelec (Paris) and the National University of Singapore (NUS). The course is accredited by the Engineering Council and by all the major institutions, including the Institutions of Mechanical Engineers (IMechE), Engineering and Technology (IET), Civil Engineers (ICE), and Structural Engineers (IStructE), the Institute of Measurement and Control (InstMC), the Institute of Highway Engineers (IHE), the Chartered Institution of Highways and Transportation (CIHT), the Institute of Physics and Engineering in Medicine (IPEM), and the Royal Aeronautical Society (RAeS). An appropriate combination of Part II papers is required in each case. Details of additional costs can be found on the Department website. Students may transfer to Chemical Engineering after the first year, or to Management Studies or Manufacturing Engineering after completing Engineering Part I. Students may change into the Engineering third-year course, typically from Mathematics and Natural Sciences. Students from Medicine and Veterinary Medicine may take Engineering as their third year specialisation. When you graduate, you’re fully qualified in your chosen area, knowledgeable across the range of engineering disciplines, and able to apply new technologies in novel situations, giving you an advantage over engineering graduates from other more narrowly focused courses. Prospects are typically excellent, with less than four per cent of our students who graduated in 2017 reporting that they are still seeking employment or further study after six months. The average starting salary of Cambridge Engineering graduates in 2017 was £32,300. Our students are in great demand and they go on to careers in all the major industrial and commercial sectors. Positions currently held by some of our graduates include Graduate Engineer, Atkins; Graduate RF Systems Engineer, Airbus Defence and Space; Consultant, TTP plc; Analyst, Goldman Sachs; Real-Time Control and Software Engineer, UK Atomic Energy Authority; Business Analyst, McKinsey & Company; and Manufacturing Engineer, Rolls-Royce plc.. Teaching is provided through a mixture of lectures, practicals, projects and supervisions, and in Year 1 you can typically expect around 22 hours of teaching each week. You’re assessed each year through coursework and written exams. A few students graduate after three years with the BA (Honours) degree. However, most continue to the fourth year (Part IIB), successful completion of which leads to the BA and MEng degrees. Progression to Part IIB is dependent on achievement in Parts IB and IIA. The broad foundation of the first two years (Part I) gives you an understanding of the basic principles of a wide range of subjects, together with an appreciation of the external pressures under which these ideas are likely to be applied. 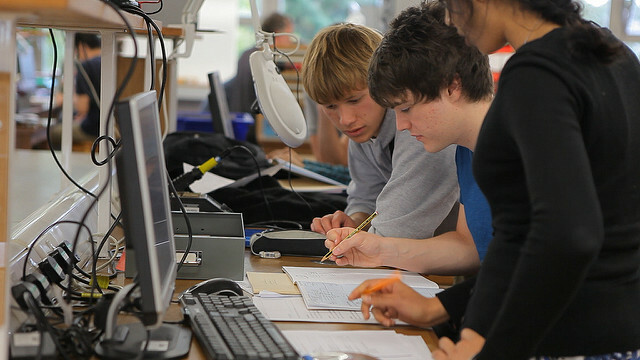 You also undertake several coursework activities and projects, on topics including structural design, product design, presentation skills, drawing, laboratory experiments and computer programming. In the third term, you select two topics from seven engineering disciplines plus a language option. These topics emphasise engineering design and introduce the more specialised work of the third year. Coursework includes laboratory experiments and computing exercises. Several experiments are linked around the common theme of earthquake-resistant structures. A highlight of the year is the compulsory integrated design project where you work in teams to design and build robot vehicles which are then tested against each other. Alternatively, you can choose (General) Engineering, in which there are fewer restrictions on paper combinations. In addition, you take an Extension Activity (selected from several topics, usually relevant to your professional discipline) and, in the final term, choose two from a variety of design and computer-based projects or projects in a foreign language. Progression to Part IIB is dependent on achievement in Parts IB and IIA, and successful completion of Part IIB leads to the BA and MEng degrees. In Part IIB, further specialisation is possible and you select eight papers from nearly 100 options which vary each year. These papers benefit from the Department’s research and are taught by experts in the particular field. As a result, you graduate with a Masters-level appreciation of theory and practice in your chosen area. Further Mathematics is very strongly encouraged. If unavailable or you’ve recognised its desirability too late, we’d advise you to do as much additional pure maths and mechanics as possible, eg by studying advanced material or Further Mathematics AS Level. See Engineering: Subject Requirements and Typical Offer by College for College-specific requirements/preferences. All undergraduate admissions decisions are the responsibility of the Cambridge Colleges, so please check College websites for further details. Please also refer to the Department of Engineering's Guide to Undergraduate Admissions website. All Colleges, except Trinity, welcome applications from students taking A Level Mathematics and a suitable vocational qualification, eg a BTEC Higher National Diploma in an engineering discipline. Applicants are expected to achieve the highest possible grades in A Level Mathematics and the vocational qualification. Those taking the Single Award Applied A Level in Engineering or the Principal Learning components of the Advanced Diploma in Engineering must also be taking A Levels in Mathematics and Physics. All Colleges welcome applications from students wishing to defer entry in order to pursue an Engineering related gap year. Some Colleges are particularly keen to support such applicants, please see the Department website for details. All applicants are required to take the pre-interview written assessment for Engineering at an authorised centre local to them (for a lot of applicants, this will be their school/college). The pre-interview written assessment for Engineering will be taken on 30 October 2019. Please check the Cambridge Assessment Admissions Testing website for scheduled start times. Mature students (aged 21 or over) applying to one of the mature Colleges (Hughes Hall, Lucy Cavendish, St Edmunds, Wolfson) should refer to the relevant information about pre-interview assessments on the written assessments page. In addition to the pre-interview assessment, applicants who are invited to interview are required to take a College-set written assessment at interview at the following Colleges (see individual College websites for details): Gonville & Caius, Homerton, King's, Peterhouse, Robinson, Trinity. When using the Section 2 specimen and past papers below, please note that there'll be some changes for the 2018 assessment – calculators won't be permitted, and the questions will no longer be linked, but the content knowledge and skills assessed remain unchanged. See the Engineering Admissions Assessment Specification above. Please note that calculators will not be used for section 2 in 2018. Department of Engineering - Explore the Engineering degree in more detail on the course website. Staff Profiles - Find out more about the people who'll be teaching you during your Engineering degree. Engineering FAQ - Frequently Asked Questions about the Engineering course. Why Choose Engineering? - The key question you should be able to answer! Engineering at Cambridge? - The advantages of studying Engineering at Cambridge in particular. Facilities - Information about the facilities available to Engineering students. Course guide - A detailed guide to the Engineering degree. Preparatory Reading - Guidance on preparatory reading for applicants interested in Engineering. Maths for Engineering - Guidance for teachers on the maths skills that Cambridge is looking for in Engineering applicants. Gap Year Information - Information about potential gap year activities for prospective Engineering applicants. engNRICH - Mathematical conundrums with an engineering twist. Guide to Undergraduate Admissions in Engineering - A detailed guide to applying to study Engineering at Cambridge. Preparing for the TSA Cambridge - Resources to help prepare for the TSA (required for Engineering at some Colleges). Includes practice tests, suggested textbooks and further reading. i-want-to-study-engineering.org - A resource to help you prepare for interview. Graduate Profiles - Some recent graduates reflect on their experience studying Engineering at Cambridge and on their subsequent careers. Industrial Experience, Career Opportunities & Employment - Information about the careers opportunities available to you after studying Engineering at Cambridge, and information on opportunities to build up industrial experience during your degree. Course Accreditation - Information on the accreditation of the Engineering degree by professional bodies. Student Profiles - Current students describe their experience of studying Engineering. Extra-curricular Engineering - Information about the various extra-curricular activities Engineering students get involved in to further enjoy and learn about their subject. Some Colleges encourage Engineering applicants to defer entry, see the Department website for details.